I have shared this kayak trip in a previous blog, but I am currently taking a Creative Writing Class from the University of Alaska - Fairbanks, and I had an assignment to write about something that had challenged me. This is the story re-told and hopefully with improved English. Water bubbles over the rocks as it continues its snaking journey across the Arizona terrain, deep within the desert landscape better suited for cactus than a rushing river. 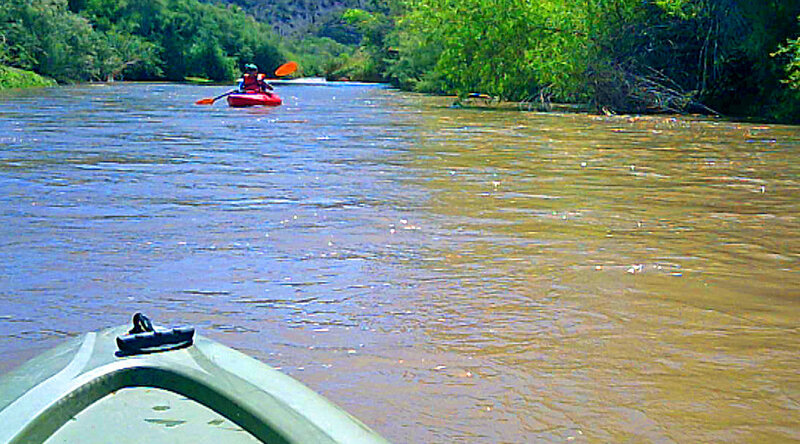 Water, the key to life and the center of a topography that is abundant with life that calls the Gila River home. The key to life can also be a link to death. This journey settles into the rippling flow of a river that stretches 649 rugged miles within New Mexico and Arizona. I can hear the sound of life as we drag our kayaks to the edge of the water. The kayaks scrap and scratch across the barren sandbank and slightly slip into the liquid highway as the shore ends and the adventure begins. The wildlife echo sounds of life beyond our visual realm, but they are there, at home in this somewhat harsh climate. I was not to be part of this scene, this experience, this moment. 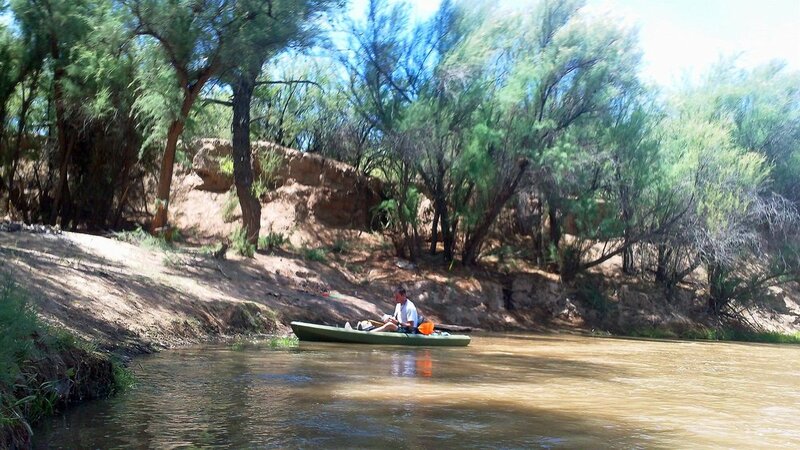 Billy had asked for car support along the 15-mile stretch between Hayden and Kearny, Arizona as he wanted to kayak this section. 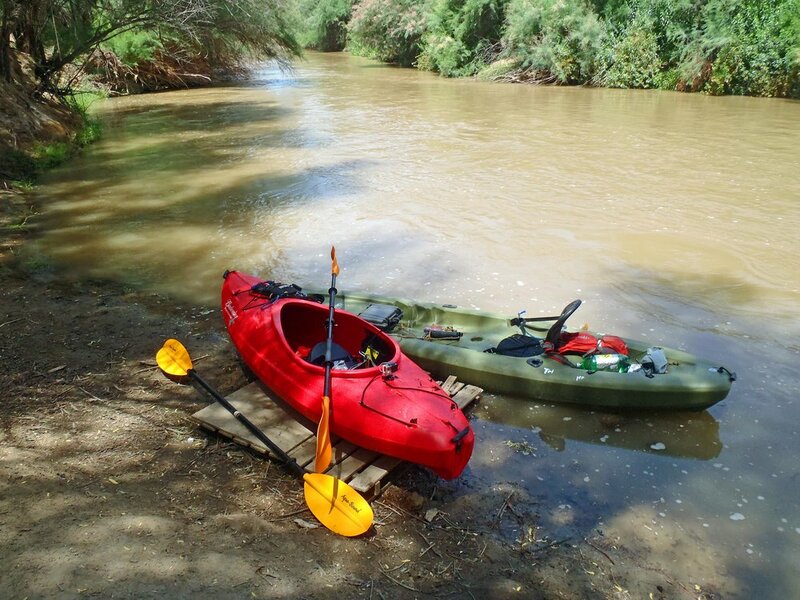 He is an experienced river kayaker and has a very secure, safe, sit-on-top kayak. I would not be so fortunate in the mode of travel that did find me on the Gila. This was a lake kayak with an open seating area (no spray skirt). Billy and I had met through a 24-hour mountain bike race near Tucson, Arizona. The connecting piece was an inquiry on Facebook for adventurous people with type 1 diabetes who wanted to form a team that would tackle the undulating cactus-studded hillsides north of town. Team No Limits would include the two of us along with Kent and Olivia. All of us possessing a nonworking pancreas, a factor that would make challenges like this a bit more challenging for the riders with a chronic disease. The phone had rung a day before the Gila River trip, and Billy had an offer or shall we call it a proposal. He had located a second kayak, and we could now insert me into a seat. My mind swirled temporarily, but he reassured me that he had run a nearby section to our proposed section and it was an easy section. Sit back, float and enjoy the wildlife was the vision in my mind. I had a background in sea kayaking and the thought of sitting back and floating sounding appealing. I had also had a rough experience during solo kayaking on the ocean in Alaska. Mild stuff for most people who have spent sufficient time in a kayak, but I had a deep, searing fear of water. Do not ask me to go swimming unless you have a life jacket I can adorn. Well, not quite that extreme, but a pure liquid environment does little for my confidence level. A few photos and videos were captured as we stroke our paddle forward then back, propelling us gently in a westward direction with a higher than usual current thrusting us from the back. The calendar shouted for short sleeve shirts and shorts as the calendar turns placed us just in front of the simmering heat of the summer. We were looking toward a perfect day to enjoy the river as it took us to new places and memorable experiences. I hear my GoPro scrap and thud against a floating landmine of logs and branches as I thrust the kayak directly into the tangled and twisted mess. There is a small waterfall a few feet from us; the GoPro splashes into the water. Thankfully, I had connected safety lines to the camera, my gear, food, and medical supply bag. A quick session on the water and we decided to run the short drop as we lacked an adequate route to go around the hole of turmoil. A quick bump and drag and we were back on a river that took on a serene, peaceful, quiet tone. Subtlety, the Gila began to change its nature as we continued to our take-out point. 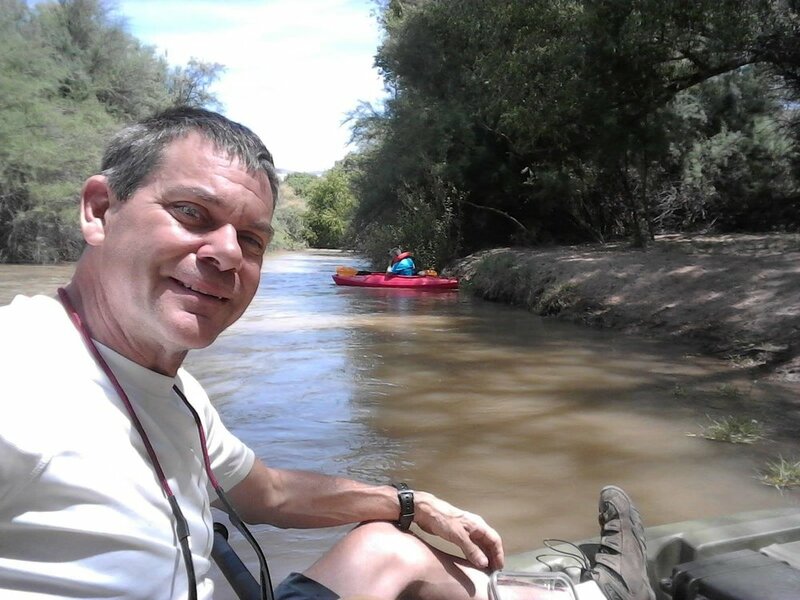 It was still a relaxing time on the river, and I enjoyed a different kind of adventure tucked into a life brimming with an outdoor lifestyle and many excursions that often challenged me but have also blessed me greatly. I was not going to let diabetes stop me from living life to the fullest. Billy has the same mindset. We were approximately five miles into a journey that would end after fifteen miles in the town of Hayden, Arizona. The subtle changes notched up a few levels as the river would narrow at points, exposing the tumbled shoreline of fallen logs and brush. I began to piece the equation together realizing that if I got caught amidst the minefields the force of the water against me and the debris would cause me to capsize. Was I ready for this? 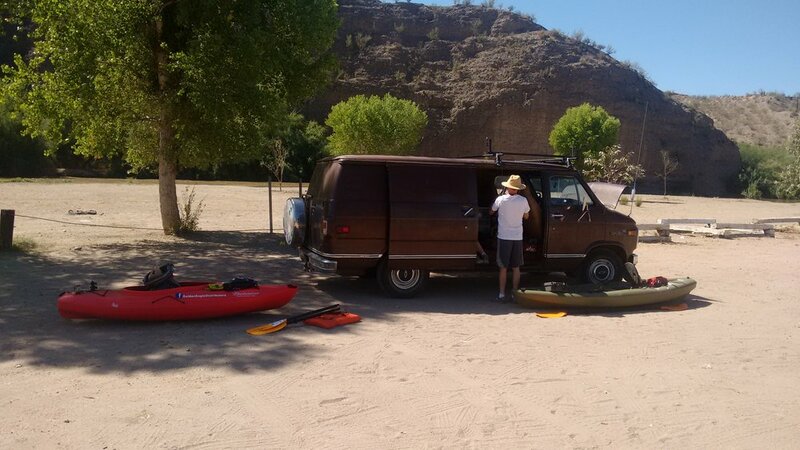 I did not have much choice as our vehicle was another ten miles downriver and there was little access to a major road. The safety of my many ocean kayaking expeditions with others within a few strokes of you, in case of trouble, was lacking on this trip. Billy and I tried to stay close together, but as I followed his lead, I was slower and was sometimes getting caught in some minor issues with the river causing distant to separate us. I no longer had ‘support’ as I lost sight of Billy and I was unable to squeeze through a narrow patch in the river that was free of brush and logs, and I temporarily found myself pinned to a log, my head was swirling as I tried to prepare myself for what was about to happen. 1. I had my insulin pump attached to my shorts. This vital piece of medical equipment keeps me alive and helps maintain proper blood sugars. It is not waterproof. Would it continue to function? 2. My contacts allow me to see well and to avoid as much debris zones in the river as I can. Would they come out as I opened my eyes underwater to gauge where I was? 3. On one of the plunges, I had trouble coming to the surface as I was snagged below the surface in a battle with debris that had entangled me. 4. I had numerous cameras to capture the adventure, and a number of them were not waterproof. When I came to the surface, the ordeal was not quite over as I floated down the river with an upside down kayak and an unsure opinion of whether I had everything with me and that everything was staying dry and still working. Next up was getting to the shore and the monumental task of dragging, pushing a kayak full of water up the angled shoreline so that I could empty its contents to prepare for the next plunge. I would experience the underside of the boat seven times. By number seven, I had not seen Billy for over an hour. 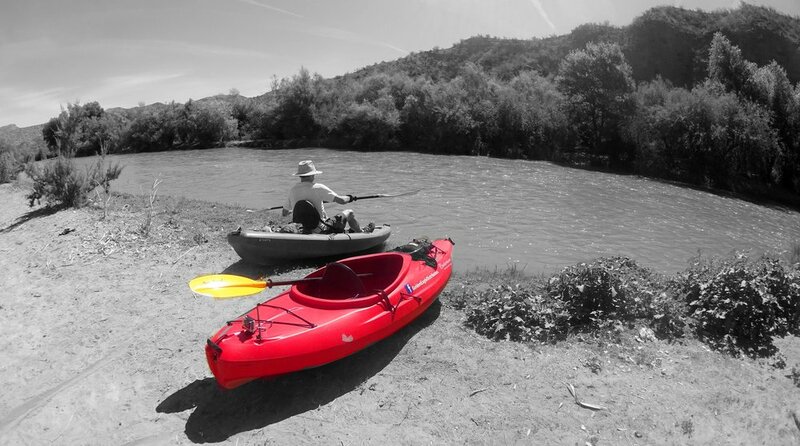 Billy has an easy going nature and was likely not too concerned about the status of the red kayak and its occupant. He had tried to reach me on the phone, but it was nestled deep within a layer of waterproofing, and I did not get to it in time. We finally chatted, and he assured me that he would wait for me at the take-out point. At one point we had reconvened briefly, and we promptly picked the wrong branch of the river to float. It was a side branch and embedded with an overwhelming amount of everything that you do not want to have to take a kayak through. I took another plunge into the river, but this time I had assistance from Billy on a problematic shore to free a kayak engorged with water. I did not know how I would pull the kayak up one more beach and flip the kayak. During an epic moment, I had accidentally broken one of the carrying handles. It was now more difficult to flip, and I was seriously tired, and the nerves were firing. I would be tested one last time as I chose the wrong channel to travel. The kayak and I once again bobbed along as the scenery passed, ever slowly. I will say that by this point I had gotten much more comfortable in a rather unusual circumstance that found me in and out of the womb of water. 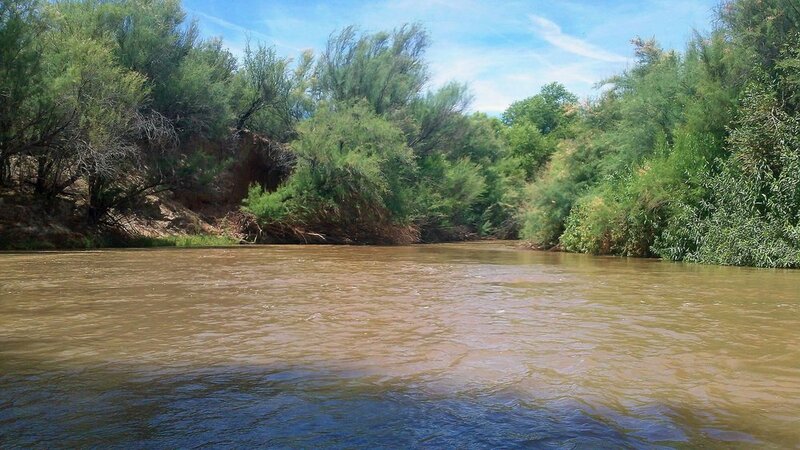 Even with the risen current, the Gila River in this section is not a deep river. I was able to stand most of the time with a rare occurrence of toes not dabbling on the rocky bottom. While getting more accustomed, I was ready to call it a day. Thankfully the day had not called my name. Number seven was a rare spot on the map as there was a picnic area where I had taken on more water than I cared. The sound of a truck rumbling down the dirt track and parking right in front of me was an emotional stirring of relief and a hint of joy as I kindly and wearily asked for a ride.